Even after you’ve been in practice for a while, you may find yourself revisiting this question as insurance rates or even local demographics change. For example, if a large employer in your area closes down, it can negatively affect how many people have access to insurance and therefore, your insurance-based private practice. It would make better sense to set up a self-pay strategy so that you’re able to anticipate and accommodate cash paying clients. But on the positive side of that example, a large employer can decide to move to your area and set up shop. They’ll hire and provide insurance to a group of employees to whom you can market your private practice. In this case, it would be smart to accept insurance, specifically their insurance. There isn’t a one-size-fits-all payment model for private practice. As you can see, there isn’t a one-size-fits-all payment model for private practice. 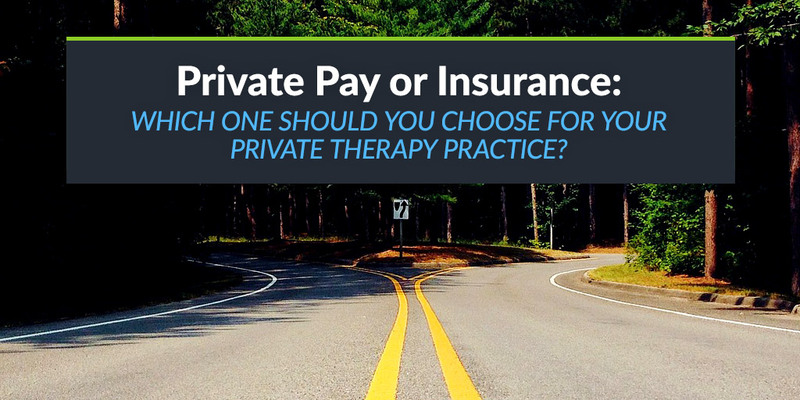 In this post, we’ll tackle the top reasons to choose either self-pay or insurance for your private practice. Also remember that you’re free to do both, as well, however most practices lean more toward one or the other. Here’s a quick checklist to help you decide which payment model you should choose in your private therapy practice. You went into private practice because you wanted to provide service on your own terms. Self-pay gives you complete freedom to do that. You will partner with your client to map out the best plan for treatment without restrictions. When you work with an insurance company or other third party payer, you and your client are often held hostage by the payer. The third party payer will ultimately determine what services they will pay for and for how long. This can limit the efficacy of your services. 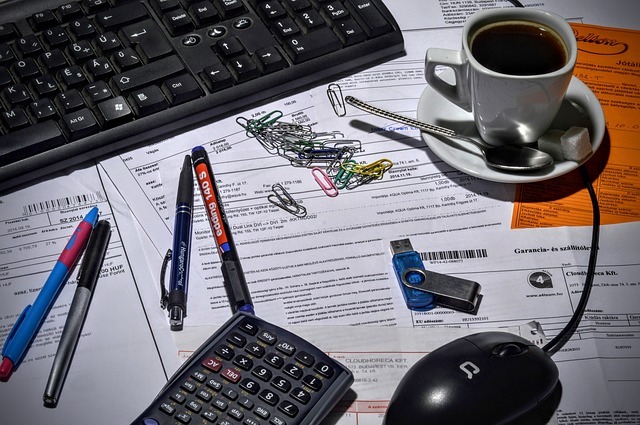 With self-pay, you have less paperwork. Hooray! Here at TheraNest, we love minimizing paperwork. Our software simplifies the process of accepting cash or private pay. When you go with cash, there’s a lot less to do. You’ll only need to do two things: create a rate sheet and then bill your clients accordingly. You won’t need to fuss over which specific codes to use and where. You won’t need to cross your fingers and hope that the third party payer won’t dispute or delay paying. You won’t need to force your services to fit a narrow payment scope. You won’t need to painstakingly train your employees on how to interact with, obtain authorization from, and bill the third party payers. You won’t need to field questions from your clients on what is and isn’t covered by their insurance provider. When using an insurance company, your client’s private records are not very private. Although you must adhere to HIPAA privacy standards and receive the client’s approval first, you’ll still need to share a lot of information with the payer (the insurance company, in this case). Information you’ll share includes presenting problem, treatment plan, and prognosis. In a self-pay private practice, this information is kept strictly between you and your client. Information is not shared with a third party. While private pay may seem like a wonderful option, there are a few reasons that may give you pause. Not every demographic is willing, or able, to pay cash for mental health services. This is definitely true when a client uses an insurance provider who’s willing to pay for such services. In this case, a client is more likely to go to another practice who does accept insurance. 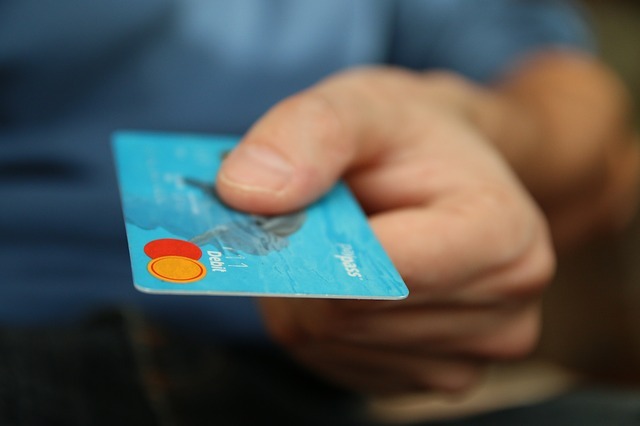 If you’d like to explore more of the benefits of private pay, check out our recent post here: Will Your Clients Benefit From a Self-Pay Strategy? Becoming an in-network provider definitely has its benefits. One of the hardest parts of being in business for yourself is building a reliable client base. It’s hard work to get them and hard work to keep them. The good news about accepting insurance is that you can build your client base through the insurance provider’s referral network. Simply being listed as an in-network provider will boost your profile. People who might not have heard of your private practice otherwise will now know that you offer the services that they need. By providing your services as an in-network provider, chances are greater that you’ll have more clients than you would as a private pay only practice. The reasons behind this uptick are simple. As mentioned above, insurance providers do (nominal) marketing for your private therapy practice. While it may just be a listing of your name, address, and contact details, that’s enough to get the ball rolling. Secondly, and perhaps more importantly, your services will be available to a wider group of clients. Not everyone can afford to pay for your services, even though they may acknowledge a need and want help. Your services may be too expensive. That’s not to say that you should lower your fee schedule, because you’ve got to eat, too. However, it is true that through accepting insurance, you’ll be able to help people who desperately need it without hurting their wallet. There are definite downsides to accepting insurance. While you’ll likely increase the amount of clients you see, you’ll probably get paid less per service. Insurance companies aren’t exactly generous. They will aggressively negotiate for cheap rates, and won’t pay a penny more than they have to. But the bright side is that by accepting insurance, you’ll be able to meet the demands of a wider demographic, including those who may not be able to pay out of pocket. If you’d like to learn more about the benefits of accepting insurance, please visit: 5 Advantages of Accepting Insurance in Your Private Therapy Practice. As you can see, there are definite pros and cons to going with either private pay or insurance. You may prefer one or implement both in your private practice. It’s ultimately up to you, but hopefully this helps you decide which one makes more sense for you private practice. Here’s a quick checklist to help you decide which payment model you should choose in your private therapy practice. Subscribe to receive this extra resource.